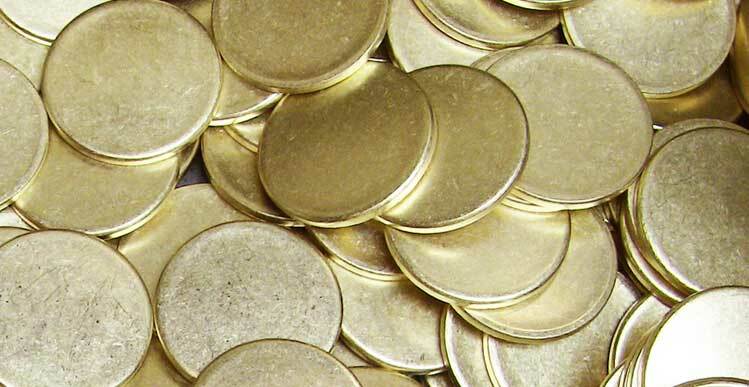 Create your own challenge coin to increase your influence. 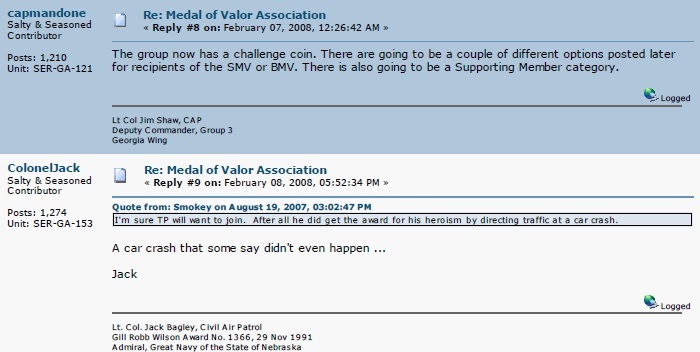 On February 7th 2008, Lt Col James L. Shaw of Albany Georgia announces on CAP Talk that a challenge coin has been created for the Medal of Valor Association. Savvy CAP Members instantly saw the intent with the “Supporting Member category” to use Other People’s Money to fund scholarships and offer a chance to buy the group’s support for future MOV “candidates” who put out fires and direct traffic and otherwise support these manipulative sociopaths. “The group now has a challenge coin. There are going to be a couple of different options for recipients of the SMV or BMV. There is also going to be a Supporting Member category. Lt Col James L. Shaw of Albany Georgia announces revenue generating challenge coin for Medal of Valor Association. Be the first to comment on "Challenge Coin Created for Medal of Valor Association"